A new version of Motorcentral DMS is now available for download. Now you can add additional text to the end of the description of each vehicle per Listing Agent. For example you can display a different message on Trade Me vs your own website or Need A Car. Learn more here. 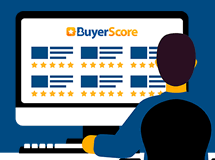 We've integrated BuyerScore into Motorcentral allowing you to get real customer feedback on why people purchase certain vehicles, as well as easier access to your own dealerships feedback (requires BuyerScore monthly subscription). Learn more here. As a consequence of the security overhaul, if you are now locked out of Motorcentral due to incorrectly entering your login credentials multiple times, you can now reset the failed login count within Tools > Users using the context menu. More info here. To learn more about why customers purchased a specific vehicle, simply select the BuyerScore Vehicle Report option from the More Reports dropdown whilst viewing a vehicle. This will give you an indication of what factors were important to people who previously purchased that vehicle as well as helpful feedback which may be useful in explaining to potential customers the benefits of that vehicle from other peoples perspective. Additionally (for those subscribed to BuyerScore), you can now access a BuyerScore Dealership Report form the Sales section of the Reports menu. This allows you to review your dealerships feedback real time and to breakdown the results by Salesperson, Business Manager and/or date range. 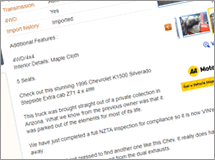 Finally, we have added BuyerScore customer feedback to all Motorcentral Car Check reports (if available).